Welcome! This educational virtual tour of our facilities shows our proceedures and processes designed to protect the environment. Descriptions are below the images. To request live tours of our facility, please download our Plant Tour Request Form. 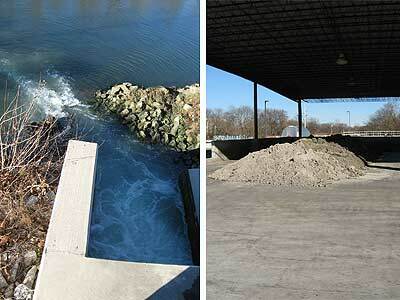 South Central Wastewater Authority works by converting wastewater into two products. 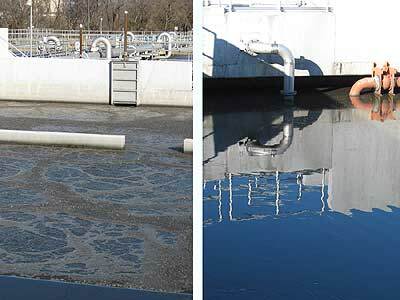 The first product is treated, non-potable effluent (mostly water) which is discharged directly into the surface water system (left). The second is nutrient-rich, Class B biosolids which are provided to the agricultural community to enhance farm land quality without the use of commercial fertilizers (right). 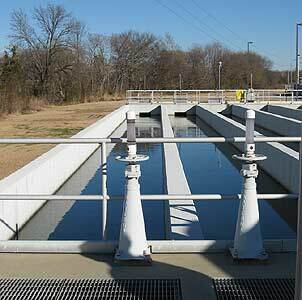 Your virtual tour of the South Central Wastewater Authority facility begins with the introduction of unprocessed or raw wastewater into the treatment plant. 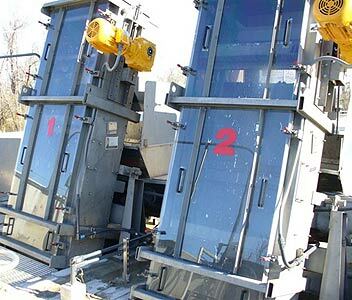 Collected wastewater is brought to our facility where it first undergoes a graduated screening process to remove large trash items such as bottles, plastics, paper wads, and other large solid debris. 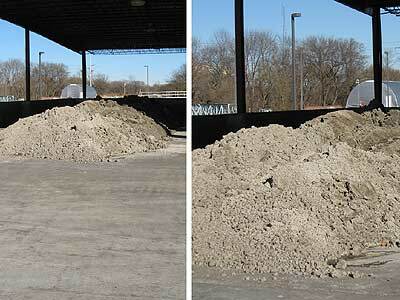 Following the screening process, the wastewater, now referred to as influent, flows into a series of grit collection tanks. 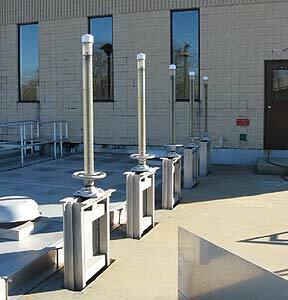 The flow of the screened influent into the grit collection tanks is controlled by a series of knife gates. Once the grit has been separated, the influent flows into our primary settling tanks where heavy solids are allowed to settle out. 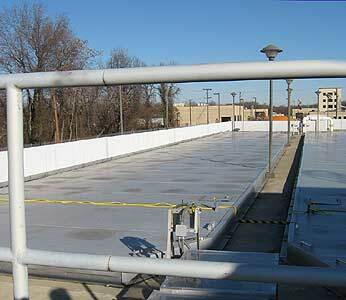 Additionally, any floating oil and/or grease is skimmed off (above). The influent remains in the primary settling tanks until the heavy solids have separated and settled to the bottom of the tank. 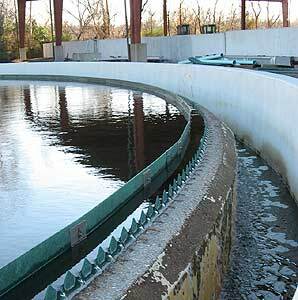 At this point, our two distinct products begin to emerge as the influent continues its unique treatment process while the material left in the bottom of the settling tank, referred to as sludge, undergoes a different treatment process. 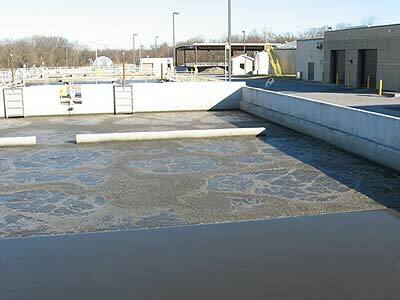 The influent flows from the settling tanks to our biological reactor once the heavy solids have completely settled. The biological reactor has two (2) zones, an aerated zone (left) and an unaerated zone (right). 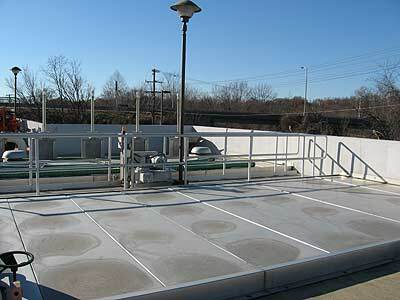 These zones function to remove pollutants from the influent as required by our Virginia Pollutant Discharge Elimination System (VPDES) permit. The sludge left in the bottom of the tanks after the influent has been pumped off is removed to specially designed and controlled drying areas for dewatering (left). Once treated and dried, it becomes classified as a Class B biosolid (right). 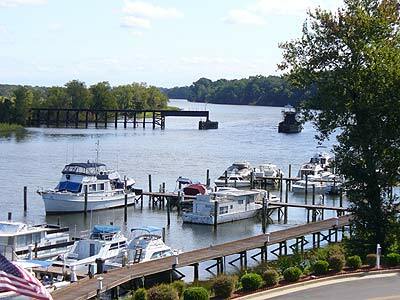 Subject to stringent regulation and inspection, this nutrient-rich material is made available to the agricultural community through an application process managed by the Virginia DEQ. Influent flowing into the final clarifier tanks for continued processing. 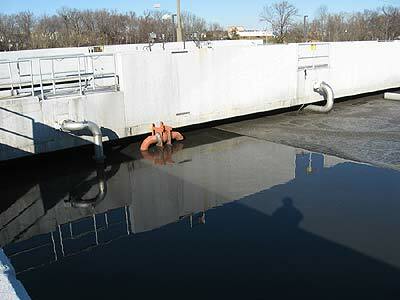 The influent remains in the clarifier tanks until any and all remaining solids settle out. Influent settling in the final clarifier tanks. 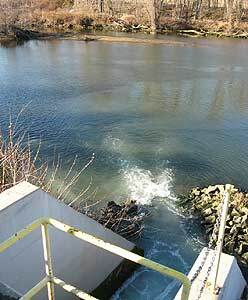 The clear influent overflows the weir and is channeled to the next phase of the treatment process. The clarifier tanks represent the final physical separation step in the containments removal process. 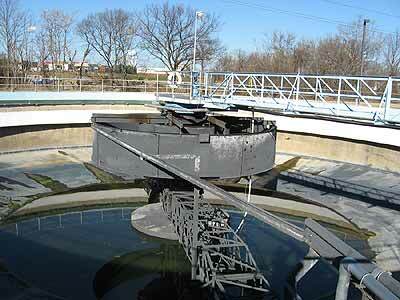 After leaving the clarifier tanks, the clear influent is channeled into the chlorine contact basins. Here it is disinfected using sodium hypochlorite as the agent. 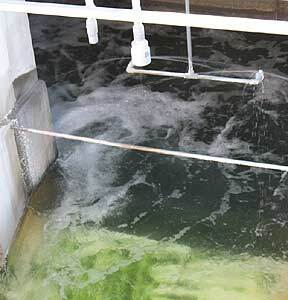 Following disinfection, the treated influent, now referred to as effluent, flows through the final effluent flume where it is dechlorinated using sodium bisulfite as the agent. 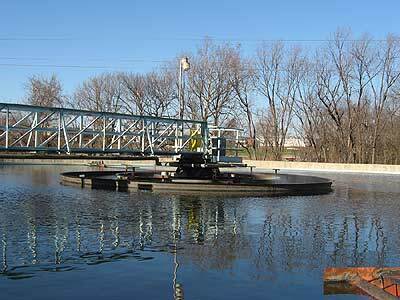 At the conclusion of the treatment process, the once polluted wastewater is now ready to be discharged safely into the environment. 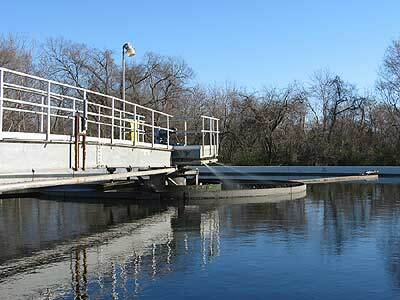 Cleaning our local wastewater before discharging it into the environment keeps our rivers safe for animals, fish and recreation on our state’s waterways. Copyright 2019 © The South Central Wastewater Authority. All Rights Reserved.